The town of New Market, Maryland is a place you will always feel welcome. Since 1793, the area has been establishing itself, providing plenty of things to see and activities to do for both visitors and residents. From taking a trip down history lane to having a fun day at the local lake with the kids, New Market is the perfect place for those who love to explore the great outdoors and unplug from everyday life. If you’re looking for spring activities to do in New Market, Maryland, you’ve come to the right place. But where do you begin? Let us help you out. After all, we know a thing or two about the area with our Aspen North at Lake Linganore community being located right in the center of it all. Explore the Antiques Capital of Maryland and visit historic landmarks such as the Henry Nelson House and Drummine Farm. Have time for a tour? This June, the New Market Historic House Tour will be taking place, giving all attendees the chance to fully immerse themselves in the history and culture of the town. Don’t forget to visit R.P. Brady Antiques for some one-of-a-kind vintage shopping! When it comes to food, there are plenty of places to wine and dine in Downtown New Market. For comfort food, head on over to The Derby Restaurant & Bar or Vintage Restaurant. For good old fashioned Italian cuisine, you’ll want to visit Pasquale’s. If you have seafood on your mind, Lighthouse Seafood is the place to be. Located just 12 minutes west of New Market, Maryland is the beautiful Carroll Creek Linear Park. Enjoy a peaceful afternoon walking through the park while admiring its architectural beauty. Among the 1.3-mile brick paths, you will see the Galleria Fountain, Iron Bridge, Community Bridge, Pedestrian Bridge, Stone Arch Bridge, and East/West Fountain. Why so many bridges? While they’re beautiful and each has their own design, they have a purpose. The park was originally designed to protect the town of Frederick from flooding in the late 1970s and has since turned into a wonderful resting spot for visitors. Who doesn’t enjoy a nice glass of wine every now and then? About six minutes from New Market, Maryland is the New Market Plains Vineyard. Participate in $10 wine tastings while exploring the historic property of Nicholas Hall Sr., co-founder of New Market, MD. The Tasting Room is open Fridays and Saturdays from 11am-6pm and Sundays from 12pm-5pm. Word on the street says the property has been in the family since the 1760s! Who’s ready for a family adventure? The Adventure Park USA in Monrovia, Maryland (just two miles from New Market) is the state’s largest family entertainment center. The Park welcomes everyone year-round and offers free admission and parking. Their “pay as you play” approach is perfect for families. Watch your kids play or join in on the fun yourself. Rides include rip-rolling roller coasters, zooming go-karts, mini-golf, bumper boats, laser tag, rock climbing, arcade games and more! When’s tee time? Located in Ijamsville, Maryland is the Whiskey Creek Golf Club, an upscale daily fee golf course. While memberships are not offered, this course goes above and beyond for their visitors by providing the same privacy, seclusion, and exceptional service as a private course. There’s plenty more where that came from, but you’ll just have to visit to get a real sense of why you’ll want to call New Market, Maryland home. Contact us today to schedule your FirstLook at our Aspen North community! Daylight Saving Time is here and that means one thing… Spring is right around the corner! With more sunlight comes more time for outdoor activities. Mix in some warm weather and you’ve got the recipe for a perfect spring season.All of our Miller & Smith properties, both in Virginia and Maryland, offer plenty of family-friendly activities that are just waiting to come out and play on the first sunny 65-degree day of the season. From picnicking in the park to gossiping over happy hour drinks with friends in the warm breeze, we’re excited to say see you later, Winter. And hello, Spring! Aspen North at Lake Linganore is resort-style living at its best. This new home community, located in New Market, MD, features four beautiful lakes, three community pools, two sports fields, basketball and tennis courts, playgrounds for the kids, picnic sites, disc golf, and a volleyball court. Needless to say, outdoor activities are kind of Aspen North’s thing. Spend the day boating and fishing on Lake Linganore, hiking through the 30+ miles of scenic trails, or relaxing on the shore of the community beach. If you’re the outdoorsy type, this is your place to unplug this spring. Birds are chirping, kids are splashing, and wine glasses are clinking – it must be spring at Tallyn Ridge, Frederick, MD’s own personal oasis. Start your ideal spring day sipping coffee on your back deck as you gaze upon the beautiful mountain views. Visit Pinecliff Park for your daughter’s youth soccer game and then go boating on the Monocacy River with friends. Take a trip into Downtown Frederick for date night to enjoy incredible restaurants, shopping, culture, and nightlife. This spring, it’s you who gets to decide. Clarksburg Town Center is a spring lover’s dream. This master planned community is located in northern Montgomery County, MD and offers a wide range of amenities, perfect for family-favorite springtime activities. Spend your day at the clubhouse, splashing in the community pool (is May here yet? ), or taking in the breathtaking beauty of nature. The miles of trails and community parks make for the ultimate start to your spring season. At Brambleton, there’s no shortage of amenities – especially in the springtime, when we emphasize outdoor living with charming courtyards, neighborhood parks, and relaxing activities. Go for a wine tasting at Quattro Goomba’s Winery, play a round of TopGolf, go for a walk on the 15+ miles of walking trails, or relax poolside at one of the six community pools – the choice is yours, but the opportunities are endless. Athletic fields, picnic areas, playgrounds, and the Signal Bay Waterpark – Cayden Ridgehas a lot of springtime activities to offer! Stay close to home and pick up a game of soccer at one of the community parks or travel outside of the new home community for a nearby Manassas, VA adventure. Enjoy the newfound spring weather and visit the VCE Teaching Garden in Prince William County or explore the streets of Historic Manassas for a fun afternoon in town (grab a bite to eat while you’re at it). Don’t forget to take a photo in front of the “LOVE” sign! It’s hard not to fall in love with Embrey Mill, especially once you experience their exclusive amenities. With over 285 acres of parks and trails, your springtime schedule won’t lack in fun. Soak up the sun on the outdoor terrace of the Embrey House, get your daily dose of fresh air as you explore miles and miles of trails, or take a visit to Dogwood Dog Park to run, jump, and play with your four-legged best friend. And guess what? There’s even more fun to come in Phase 2 of this new home community. At One Loudoun, excitement is right at your fingertips. Loudoun County’s premier downtown neighborhood offers endless entertainment options including diverse dining, shops, and outdoor events every weekend. Celebrate spring by visiting the One Loudoun Farmers Market (open every Saturday from 9am-1pm) or attending a local event. 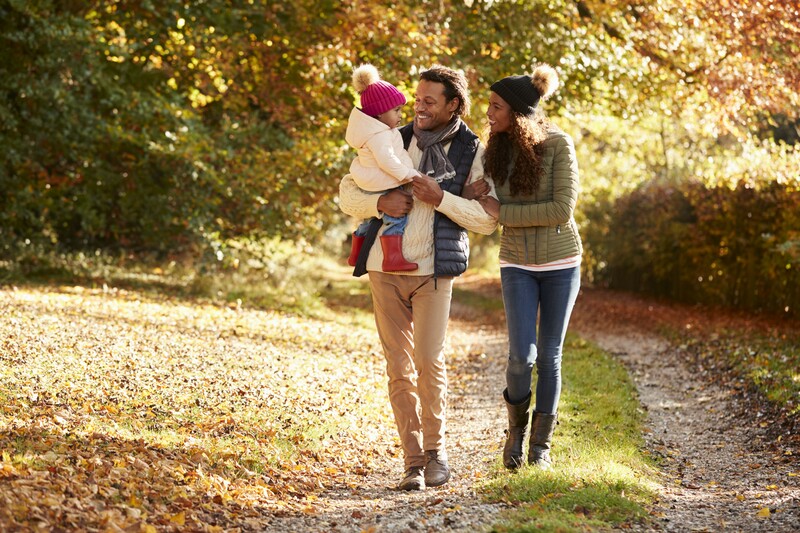 If you’re looking for something a little more peaceful and athletic, slow it down for a stroll through One Loudoun’s Central Park or take up a tennis match at The Club at One Loudoun. Walhaven at Kingstowne – the perfect place for 55+ living and enjoying the time of your life in Alexandria, VA. With a world of amenities to choose from, this new home community never leaves its residents with nothing to do. This spring, challenge friends to a tennis match at one of the community’s three tennis courts or, better yet, challenge your spontaneity and take up a last-minute round of golf. Now, this is a fresh approach to spring and 55+ living. Want more in Manassas, VA? Coming soon is Prince William County’s hottest new home community, Signal Hill Crossing. Have access to nearby walking trails, community playgrounds, picnic areas, sports fields, and a family-fun water park. Take your next step now and get VIP access for the latest updates. Looking for a chance to experience one of our communities this spring? You’re in luck. 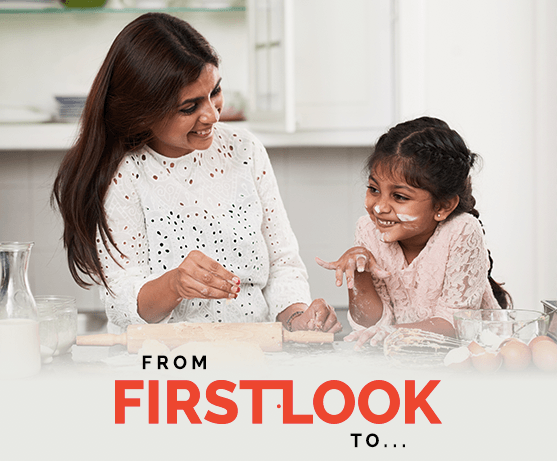 On Saturday, March 23, we will be holding our FirstLook Showroom events at Brambleton, Tallyn Ridge, Embrey Mill, and One Loudoun. Just in time for spring! See you there. 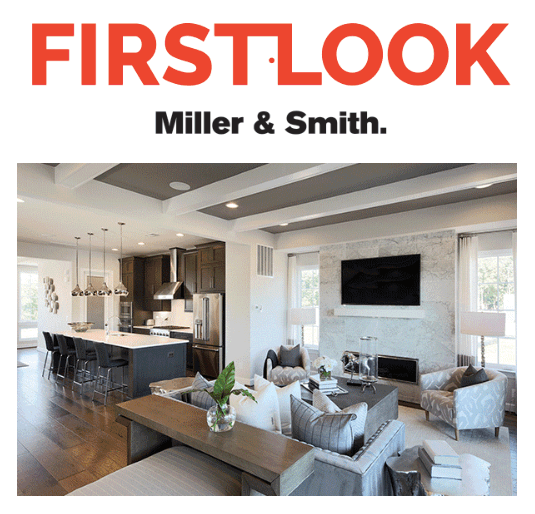 MCLEAN, VA, (January 29, 2019) — Miller & Smith, the Washington region’s most award-winning home builder and real estate developer, is pleased to introduce FIRST LOOK, a series of open house workshops & new home showrooms. The unique open house events are designed to provide potential homebuyers with an immersive experience and hands-on learning environment in new model homes and regional communities. FIRST LOOK will be held across six selected Miller & Smith communities and 11 new model homes in Maryland and Virginia. Unlike typical showrooms, the Miller & Smith FIRST LOOK models will become a hub for homebuyers and their families to roam free, interact with local community partners, play, build, listen and learn. Visitors can see, smell, taste and touch their new home for a truly immersive experience. During the spring promotional campaign, homebuyers can enjoy up to $25,000 in FIRST LOOK perks with a purchase within 60 days. We make sure to incorporate these features in every home for one simple reason – we know just how important energy savings are to your new home experience. To find out how much of an impact ENERGY STAR® makes on Miller & Smith homes, let us take you through the HERS Rating and how it determines energy efficiency in your new home. HERS stands for “Home Energy Rating System” and is used to rate the projected energy efficiency of a home compared to one that meets all of the requirements of the latest residential energy code (also known as the International Energy Conservation Code or IECC). 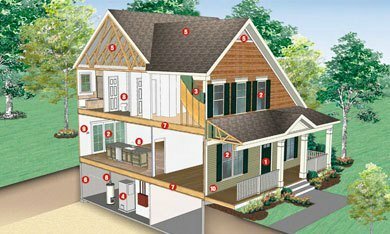 When a home is rated, everything from the construction plans to onsite inspections and testing are taken into account and performed by a certified Home Energy Rater. The Rater inputs the results into an analyzing software system that determines projected energy usage. If your new home has an ENERGY STAR® certification, that means the Home Energy Rater worked with Miller & Smith directly to ensure ENERGY STAR® performance guidelines were met. Once construction plans are analyzed, onsite inspections are completed and typically include testing door, window and duct leaks. Results are then combined and used to generate a final HERS rating. This final number will range from 0 (most energy efficient) to 100 (least energy efficient). The reference home (or the home that meets all requirements) will always remain at a HERS rating of 100, so if your home has a rating of 85, it is still 15% more energy efficient than the reference home. ENERGY STAR® and Miller & Smith work together to ensure your new home is energy efficient and has the best HERS rating possible. To learn more about Miller & Smith’s energy efficient homes, take a look at what’s behind-the-walls of your new home.